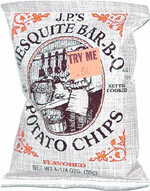 Taste test: These are kettle-style potato chips with a very subtle barbecue taste. They're OK, but there are many better kettle-style chips out there  these are just average in consistency and crunch. 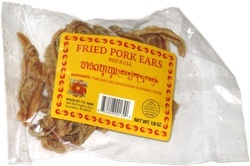 The barbecue taste is also average  slightly sweet, kind of weak, no heat, no aftertaste, nothing special. Smell test: Just a very slight sweet barbecue aroma. Company: Tri-Sum Potato Chip Co., Inc. This snack was discovered by Jeremy in Fitchburg, Massachusetts. Review published .